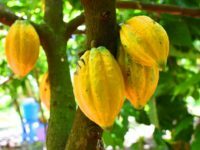 The Chief Executive Officer for COCOBOD; Dr Stephen Opuni, last Tuesday called for the redoubling of efforts by two contractors working on the Ayanfuri to Dunkwa road or face the axe next month if the route remains same as he met it. Addressing newsmen during a tour of the roads, the worried CEO who was accompanied by the Roads and Highways Minister, Inusah Fuseini, expressed disappointment at the slow pace of work by the two contractors, Messers Uusuya and Falcol Contractors Limited. 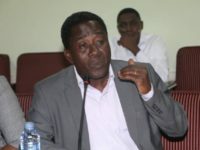 He has consequently given them a month ultimatum to raise the level of construction from its current state or risk the termination of contract. 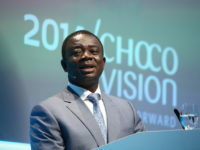 He mentioned the importance of that particular road to the Government of Ghana, indicating the Ayanfuri-Dunkwa road formed part of the cocoa roads being constructed to boost economic activity in the country. 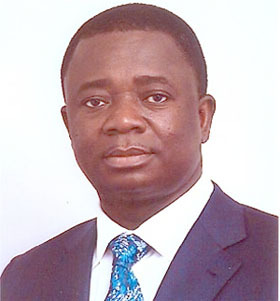 Sounding surprised about the seeming delay of the project, Dr Opuni disclosed the contracts were awarded to the two in December last year, stressing work was way behind schedule. He said government expected work to be around 70% percent complete at this time, but unfortunately work was now hovering around 30% percent. 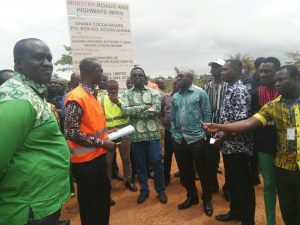 On his part, the Roads Minister, Inusah Fuseini relayed government’s abhorrence about the delay of the project, stressing the people of the area needed the road to assist them conduct their individual businesses. According to him, the Mahama administration was bent on awarding road contracts to indigenous people, rallying those who have the opportunity to work to do so to meet timelines. Alhaji Yusif Yakubu, CEO of Uusiya Construction Company, explaining the delay of his 24kilometer stretch indicated the cumbersome nature of the system he was using at the site. He noted the bituminous surfacing techique was being deployed, revealing the real asphaltic overlays could be added at later date. He, however, assured the completion of the project very soon as he works to put it in a perfect shape. 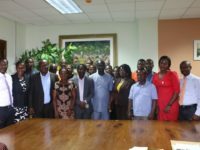 Assuring the CEO and the Roads Minister, Mr Frank Acheampong, CEO of Falcol Construction Limited promised to work to meet the new deadline given.